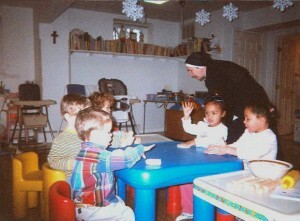 In Boston, the Sisters have a day care which welcomes children between the ages of 15 months and 4 years. It offers numerous activities geared to awakening and developing skills in different areas, intellectual and motor as well as spiritual and social. The Sisters also participate in parish life and are responsible for a catechism program which prepares young people from the 1st to the 6th grade for the sacraments of Baptism, Reconciliation and First Communion. They also organize the Holy Hour and the Lectio Divina for the parishioners every week. 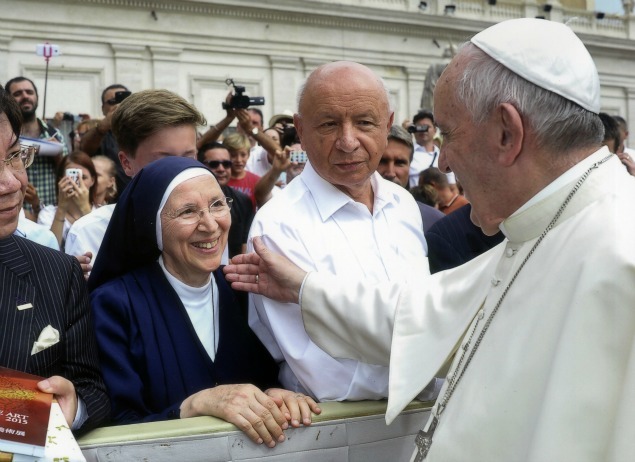 They visit the elderly and are ministers of the Eucharist in a hospital. The Congregation receives all religious who wish to improve their English in Boston and pursue their intellectual and spiritual development in order to better accomplish their mission in the world.